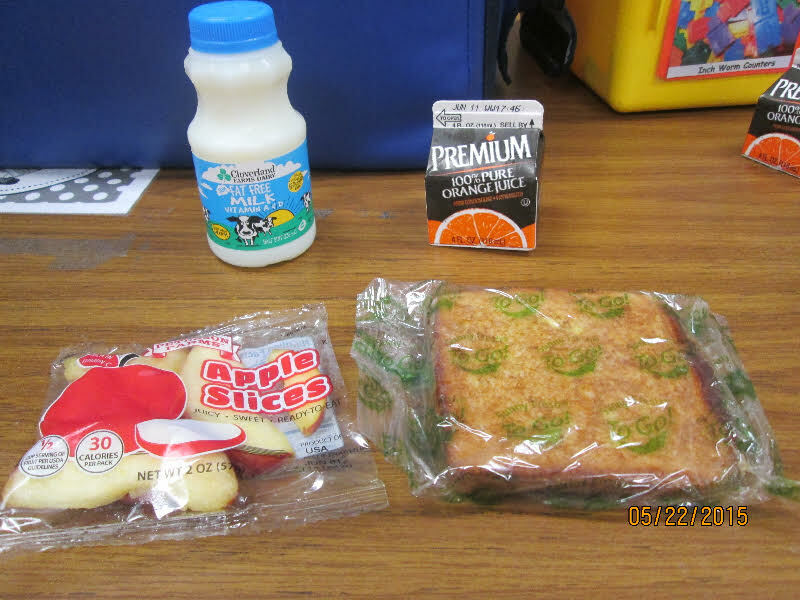 Here are photographs of three breakfasts served in a PGCPS kindergarten classroom during the week of May 18-22, 2015. 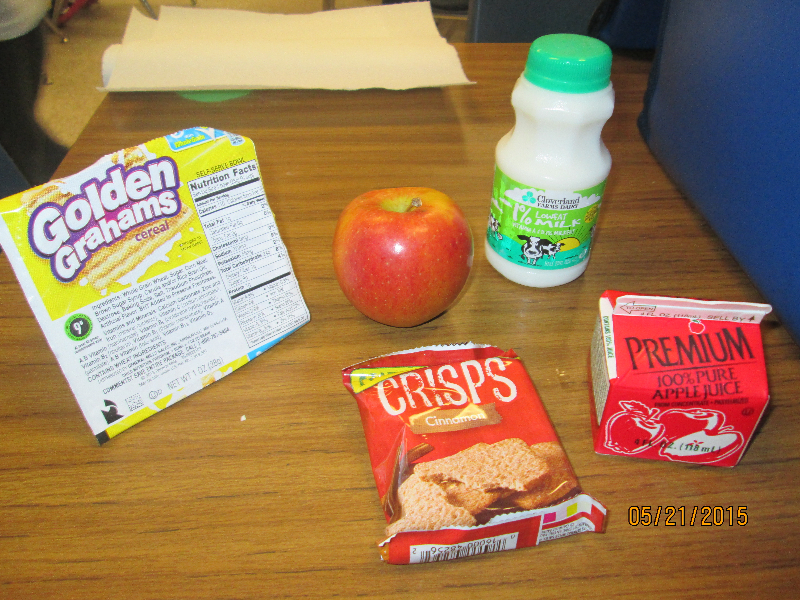 To find details about PGCPS’s meal programs and contact information for dietary staff, visit the Food and Nutrition Services page of the PGCPS website. This is set up for future diabetes and fatty liver. Golden grams? Seriously? Apple juice? Sugar content should be decreased. I looked up the waffles ingredients > Most concerning are sugar, brown sugar corn syrup , palm oil and artificial flavors! 16 grams of sugar just in the waffles, the grape juice is sugar too. Are the waffles microwaved? Even worse. 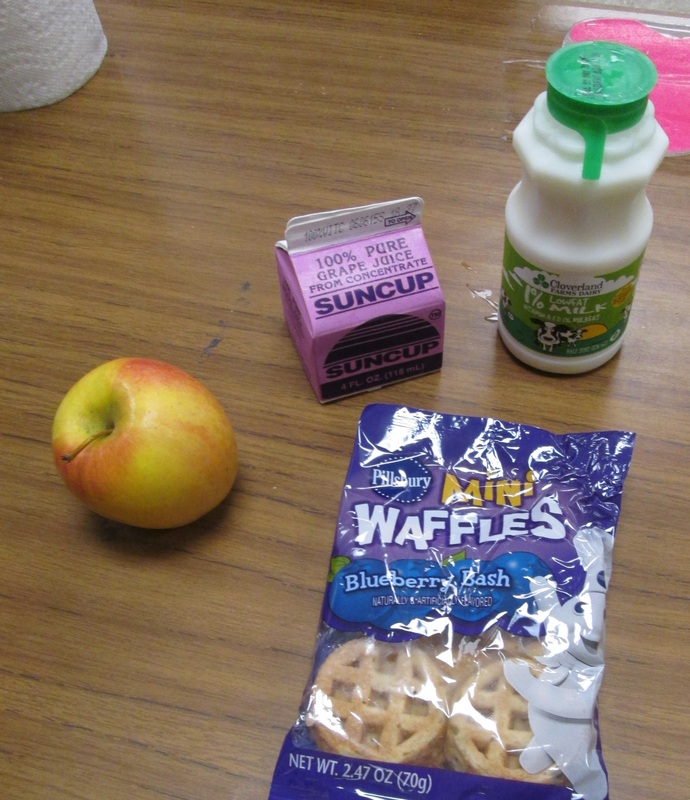 Water, Whole Wheat Flour, Sugar, Soybean Oil, Maltodextrin, Brown Sugar, Corn Syrup, Whole Grain Corn, Soy Lecithin, Nonfat Milk, Eggs, Baking Soda, Sodium Aluminum Phosphate, Corn Starch, Salt, Natural and Artificial Flavor, Calcium Acid Pyrophosphate, Palm Oil, Potassium Bicarbonate, Tricalcium Phosphate.